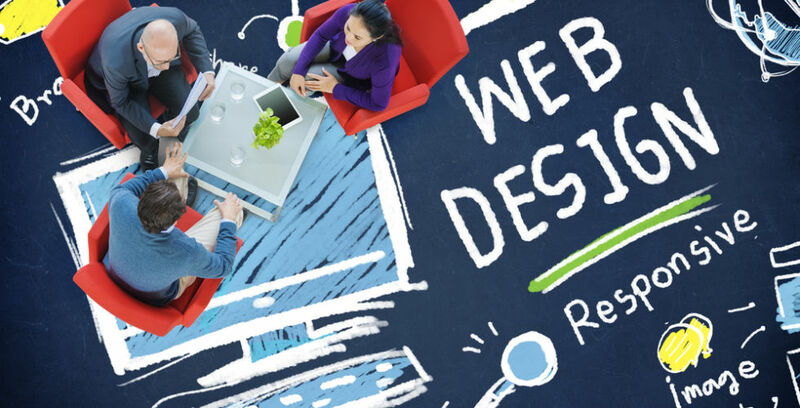 Planning or redeveloping your business’s first website can sometimes be a difficult process. How much should you spend? Who should do the work? Will the project take up too much of your time? Once a site is built, businesses often realise that the project has taken more time and cost more than expected, and doesn’t deliver the required results. But it doesn’t have to be that way. Web projects can run smoothly and the end result can add real value to a business if you have a good process which starts with defining requirements. If you feel you don’t have the necessary skills, seek help at an early stage. Attend a course, ask a trusted adviser for help or seek support through a State body, such as a Local Enterprise Office, or from a business network or association. Marketing websites are commonly referred to as ‘brochureware’ sites, and are not overly complex. But you may have bigger ambitions, like launching an eCommerce site or allowing customers to track orders or provide other services in a secure area of the site. In such cases you should set the goals for the business, providing details of research conducted and any existing or planned technologies. For eCommerce, you need to consider if you are creating a standalone online store, or an online store that integrates with backend stock management and other systems. One sure way to burn time and money is to obsess about web design. Typically, personal preferences come into play and clients change their minds many times. To avoid this, you need to give some thought to the style of sites you like and why. Provide the URLs of preferred sites. Trust recognised industry experts. Usability (the ease with which users can use a website) needs to be considered. There is a body of science about what works and doesn’t work in creating what is often called the ‘user interface’. You can learn more about usability, mobile sites and other trends in web design from expert consultants such as the Nielsen Norman Group. You need to consider mobile, given that a large proportion of your audience will view your site on a mobile device. Consider commissioning a ‘responsive design’. That’s a process for designing sites that ensures they render well across a wide range of devices, including traditional PCs, smartphones and tablets. While it sounds like the right option, there can be certain limitations such as how complex content like tables are displayed. An alternative is to create a mobile site, which will be more expensive. An absolute must for any website is a Content Management System (CMS) which allows for easy updates of sites without technical skills. Open source solutions such as WordPress have transformed web development, making it easier and much more affordable. There are also established proprietary CMS solutions on the market that have excellent functionality and rich features. In such cases, you will pay a licence to use this software. You should avoid ‘locking in’ to a proprietary CMS system with a low user base that other developers are unlikely to support. Such software will not be updated as frequently as open source or well-established software. The decision on what type of software is best will come down to your requirements and budget. For eCommerce, you need to compare and contrast the various features included in the various packages on offer. Check out review sites to help your research, such as this feature on the best eCommerce software for small businesses. Don’t forget that all good, free software will need to be integrated. This means using Google Analytics to track your traffic and Google Webmaster Tools to manage your search profile on Google. If you are active on social media, or plan to be active, integrate your Twitter feed and offer prominent links to LinkedIn and Facebook. And make it easy for your content to be shared by adding share buttons. WordPress themes, which are effectively templates, are hugely popular for simple brochureware sites. While some themes may be free or cost less than $100, remember there will be other development costs, such as the installation of various ‘plugins’. From a design perspective, WordPress themes have their design and content limitations. The alternative is commissioning a custom design which will be built for WordPress and which has the potential to give you a better quality site and a more flexible structure. Costs will be higher. You need to consider what other services you would like a developer to provide, such as hosting and technical support. Typically, developers will outsource hosting, and charge a fee for managing that relationship and ensuring that your site has critical system, security and other updates. Don’t ignore testing. A developer should test the CMS and the site against the popular browsers before launch. You should specifically ask about what types of testing a developer will undertake. You may want help on content and SEO, pay per click and other forms of digital marketing. Developers tend not to be specialised in such services, and you might be better off seeking a digital marketing specialist or to upskill yourself. It will be difficult for you to outsource all of this activity. As the client you will have to spend time managing the project, creating site content and possibly conducting some testing. Once you’ve got your written brief ready, you now need set a notional budget of what you want to spend. Talk to other business owners who have experience of similar projects so they can share their thoughts and you can get an initial sense of the budget. Remember to compare like with like. You should seek competitive quotes from a number of developers. Use the ThinkBusiness.ie web developer checklist as a reference. Upskill and stay on top of web trends. Become a more informed buyer of web development and other digital services. Attend a recognised course. Use reputable and independent sites to help you brush up on online projects. Even after your site goes live, keep on top of fast-moving trends and identify their relevance to your business. Don’t rush your web brief. You will be better prepared to discuss your requirements and get quotes from web developers if you have done comprehensive research. Set a maximum of what you are prepared to spend. Assign a budget that your business can afford and set a maximum figure. But until you get proposals in, you won’t be able to finalise your budget. Break projects into phases. It’s best to put all of your requirements down on paper. You may then decide to prioritise them by breaking projects into phases. You may have to pare back your wish list for the first phase if the preferred quote exceeds your budget.